From New York (290 miles to Provincetown; approximately 5 1/2 hours), take Interstate 95N to Providence then 195E to Cape Cod. Follow signs for Route 6 East all the way to Provincetown. Take the 3rd exit into Provincetown (Left on Shankpainter Road). At the end of Shankpainter Road take a left onto Bradford Street, then take a Right onto Carver Street. At the end of Carver Street, turn right onto Commercial Street. Next right, onto Court Street. Revere Guest House Cape Cod B&B is at the top of the hill on the left. From Boston (120 miles to Provincetown; approximately 2 1/2 hours) take the South East Expressway 93S to Route 3 and onto Route 6 East all the way to Provincetown. Take the 3rd exit into Provincetown (Left on Shankpainter Road). At the end of Shankpainter Road take a left onto Bradford Street, then take a Right onto Carver Street. At the end of Carver Street, turn right onto Commercial Street. Next right, onto Court Street. Revere Guest House Cape Cod B&B is at the top of the hill on the left. Take one of the fast ferries from Boston Harbor and arrive in Provincetown in less than two hours. After arriving in Provincetown, follow MacMillan Wharf back towards town. Take a Left onto Commercial Street. Walk down Commercial, past the Post Office and Turn Right on Court Street. (just past Spiritus Pizza). Revere Guest House Cape Cod B&B is at the top of the hill on the left. If you’re already flying to Logan Airport (airport code: BOS) in Boston, it’s very easy to carry on to Provincetown (airport code: PVC) by air. Daily flights are less than thirty minutes and no entrance to town could be more grand! The view of Cape Cod stretching out and Provincetown coming into view is one you’ll remember forever. There are courtesy buses from all major airlines to Terminal C at Logan, where you can catch a Cape Air flight to the Provincetown Airport on Race Point Road. Certain airlines offer discounted fares when bought in conjunction with other journeys. Visit: Airport Info, Cape Air or phone: (800) 352 0714. This is a great service running between New York and Boston and at prices far cheaper than offered by air or rail. The excutive LimoLiner runs between Hilton New York Hotel on 6th Ave at 53rd St, New York and the Hilton Boston Back Bay Hotel on Boyslton Street, Boston. 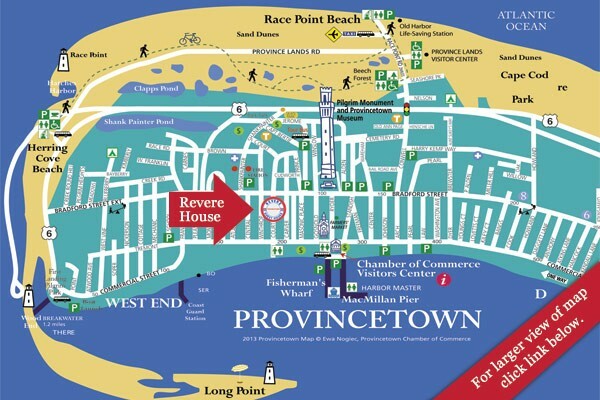 When making your reservation, enter the Promotion Code C1051 to receive the Distinctive Inns of Provincetown Corporate VIP Rate. 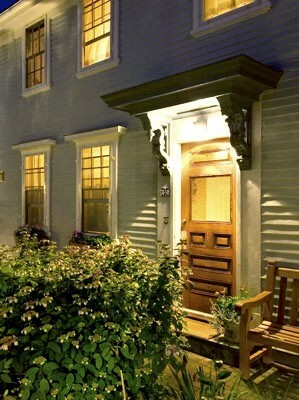 Our Cape Cod B&B a member of the Distinctive Inns of Provincetown. Visit: Limo Liner or phone: (617) 823 0616. 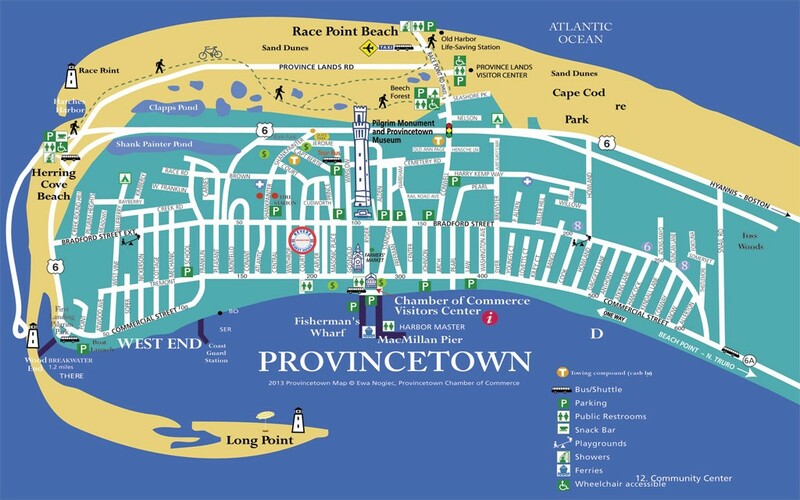 Provincetown itself is serviced by Plymouth-Brockton bus lines out of Boston (South Station and Logan), Braintree, Hyannis and Plymouth. Purchase tickets on the Bus. Bonanza and Peter Pan also offer service as far as Boston or Hyannis. The ride isn’t much longer than the drive and some non-stops exist between the larger cities and Hyannis.